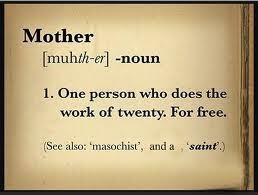 This is what it means to be a mom -- and why you may need a time out! It’s no coincidence that this, my first Tuesday Tip in quite some time, is being written and posted on Wednesday — a day late and a dollar short, as my grandfather would say. But actually, the day late is pretty much the point because as summer sadly starts to wind down, the best tip I have to offer is to take a time out. This summer, as you may have noticed if you’re a frequent reader, I’ve given myself permission to take a time out. Time off. Time away. Why? Well, if I didn’t, I might have lost my mind. Completely. Between a fast-paced, high-pressure job, five fast-paced kids, and moving (which is apparently one of life’s greatest stressors), something had to give. For me, although I love it, the thing that had to give was writing. The time I typically devote to typing and sharing was reallocated to packing and unpacking. But that’s not all. I realized this week, the first week of the summer that we haven’t been prepping for or recovering from our move and, the first week the kids aren’t racing out the door to camp, we all need a time out. The past few mornings have been blissful. As too have the evenings. We all ate together in our new backyard; we let bedtimes slide so fireflies could be caught. I changed the alarm to wake me up at 6:27 instead of 5:42 (yes, I wake up at odd times!) because I finally admitted it: I am tired. Tired of the rat race. Tired of packing and unpacking. Tired of saying “ the new house is great!” even though there are cracks in the ceiling, leaks in the plumbing and boxes, boxes everywhere. I’m tired of shuttling sick kids to the pediatrician; we’ve been making weekly visits for the past six weeks thanks to sinus infections, strep, ear infections, swimmers ear, an emergency root canal and several nasty cases of poison ivy – from head to toe and everywhere in between! I’m also tired of making lunches, applying sunscreen, and hustling half-asleep kids out the door to camp. As it turns out, they are tired too. This lull between camp ending and school starting is just the antidote we all needed. Because when I am tired, I’m not nice. And neither are the kids. Just in case you’re wondering, here are three signs you need a “time out.” And, a “Tuesday tip” to encourage you to take it. You’ll be glad you did. And so will everyone around you. 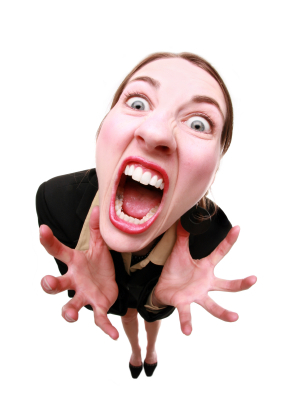 If you look and feel like this, you probably need a time out! You answer “no” routinely before the kids can even get the question out of their mouths. This is a really bummer when the question, much to your surprise was “Can I help?” To this you should always just say yes. Even if it’s coming from a four-year old likely to make a bigger mess of things! You look in the mirror and are frightened by the crazy woman staring back at you. She has bags under her eyes, grays in her hair and a sallow skin tone. Take that lady out for some fresh air, give her a good night’s sleep and before you know it, she just may be smiling at you in the mirror. Especially if as part of her time out you treat her to a long overdue mani-pedi. You ask your husband when your sweet charming children turned into “evil f*ckers.” Enough said, right? It’s time for a time out!